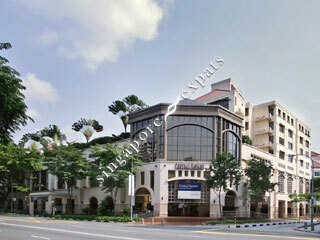 CENTRAL SQUARE APARTMENTS is located at 20 HAVELOCK ROAD in district 03 (Queenstown, Tiong Bahru) of Singapore. CENTRAL SQUARE APARTMENTS is a 99-year Leasehold Service Apartment development consisting of 127 units. CENTRAL SQUARE APARTMENTS is completed / TOP in 1999 (estimated), developed by FAR EAST ORGANIZATION. Educational institutions like CHATSWORTH INTERNATIONAL SCHOOL (ORCHARD), JEWELLERY DESIGN & MANAGEMENT INTERNATIONAL SCHOOL, ISS ELEMENTARY & MIDDLE SCHOOL, RIVER VALLEY PRIMARY SCHOOL, CANTONMENT PRIMARY SCHOOL and ST. MARGARET'S PRIMARY SCHOOL are near to CENTRAL SQUARE APARTMENTS. CENTRAL SQUARE APARTMENTS is accessible via nearby CHINATOWN, CLARKE QUAY and FORT CANNING MRT Stations.